Many types of eucalyptus trees frame the Library’s setting here in Tea Tree Gully. They cluster together to form a shady space for our patrons to wander through and enjoy a quiet spot to read or eat a meal. Tea Tree Gully was named for its abundance of white flowered ‘tea trees’ (Leptospermum lanigerum) that grew in the creeks. Their leaves were brewed as a tea substitute by early settlers. Blue gums, river red gums and grey gums are just some of the eucalyptus you can see here. Their heady scent is one of the best things about the walk into the library. 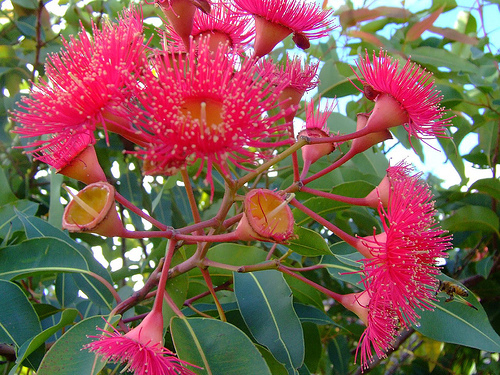 Summer seems to be the season for gum trees. With leaves illuminated by Aussie sunshine, and their colourful floral bouquets, they are truly looking their best right now. 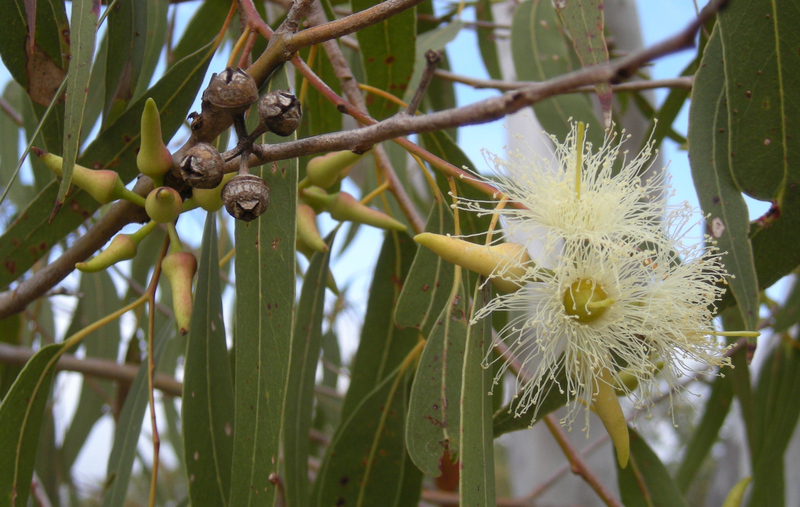 If you love eucalyptus trees, come into the Tea Tree Gully Library and leaf through (pun intended) our many books on gum trees, or put a hold on them online. Many books also provide practical household tips on how to use eucalyptus oil for cleaning and therapeutic uses.